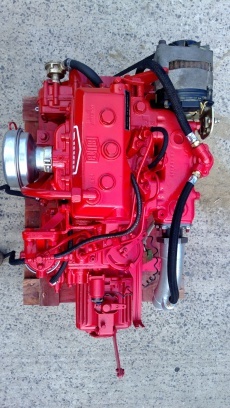 Engines > Inboard > Bukh DV24 24hp Marine Diesel Engine Package Under 250Hrs From New!!!!! 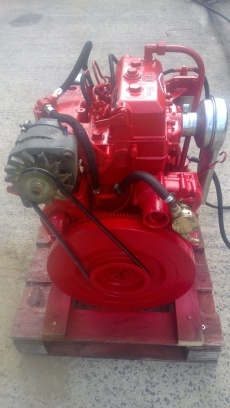 Bukh DV24 24hp Twin Cylinder Marine Diesel Engine Package Including Gearbox, Control Panel & Loom. Drop in replacement for the older and well known Bukh DV20. This is the current model, and still sold today, with new units costing in excess of £8,000! 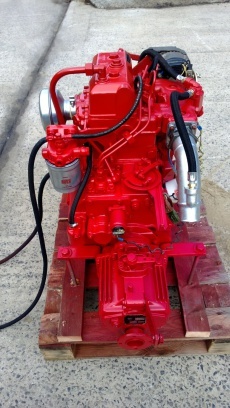 The only purpose built marine diesel engine still in production. They have been converted back to the more common sea water cooling system in our UK Bukh dealership workshops to the original factory specification. They have all been test run in our workshops, any worn or damaged parts replaced, serviced, cleaned and resprayed in Bukh red and are ready to go to work.